Wherever you go, whatever you do, I wish you a safe and Happy July 4th! 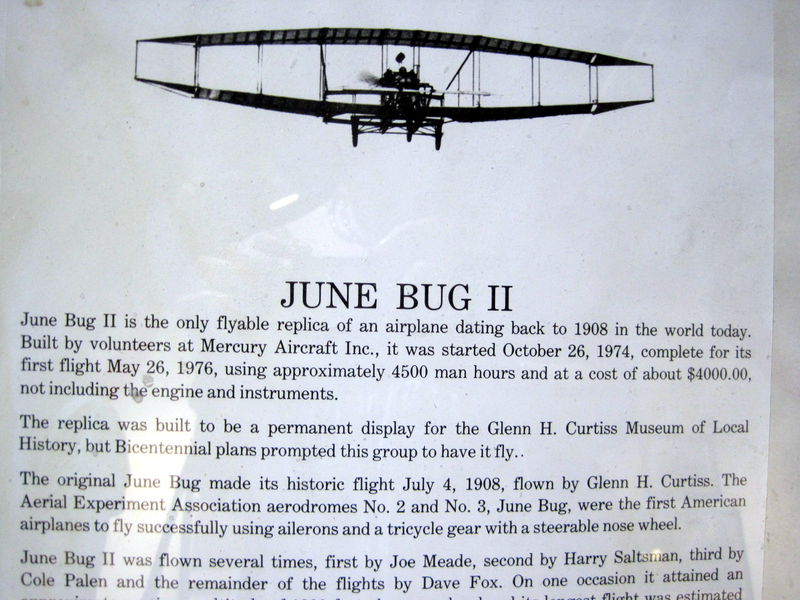 On July 4, 1908, Glenn H. Curtiss piloted his plane, the “June Bug” across Pleasant Valley a distance of 5,090 feet – 1,810 feet farther than required to win the first leg of the acclaimed Scientific American trophy. This was the first officially-recognized, pre-announced and publicly-observed flight in America.The next year, he won the trophy by flying his plane, the “Golden Flyer” a distance of 24.7 miles to establish a new world distance record. A replica of the plane can be found at the museum. The Glenn H. Curtis Museum is located at 8419 Route 54 in Hammondsport , NY. It’s open May through October, Monday – Saturday 9 a.m. to 5 p.m. and Sunday 10 a.m. to 5 p.m. From November through April it is open daily from 10 a.m. to 4 p.m. Closed Easter, Thanksgiving Day, Christmas Eve, Christmas Day and New Year’s Day. Admission is Adults $7.50, Seniors (65 and over)$7.50, Students (7-18)$4.50, Children (6 & under) and Members Free. They also offer a family rate of $20/family an adult group rate of $5/adult and a student group rate of $2.50/student. Click here for the Travel Maven’s post on the museum with narrated slide video.